RAB conducted its first lecture series in Vanuatu in June 2016. The Radiology department is very rudimentary, with only X-ray and Ultrasound facilities. There is no CT scanner in Vanuatu, but one is being proposed after the Radiology trainee returns from his training in Papua New Guinea. RAB was met by much enthusiasm from a young audience of junior doctors who have completed medical school in China, Cuba and Fiji and have returned to manage the health of a country. Medical resources are scare in this country, but there was obvious improvement in the doctors' radiological interpretation of x-rays over the course of the tutorials. The junior doctors were keen for RAB to return and will also participate in the monthly teleconferences, hopefully creating a brighter future for health care in Vanuatu. 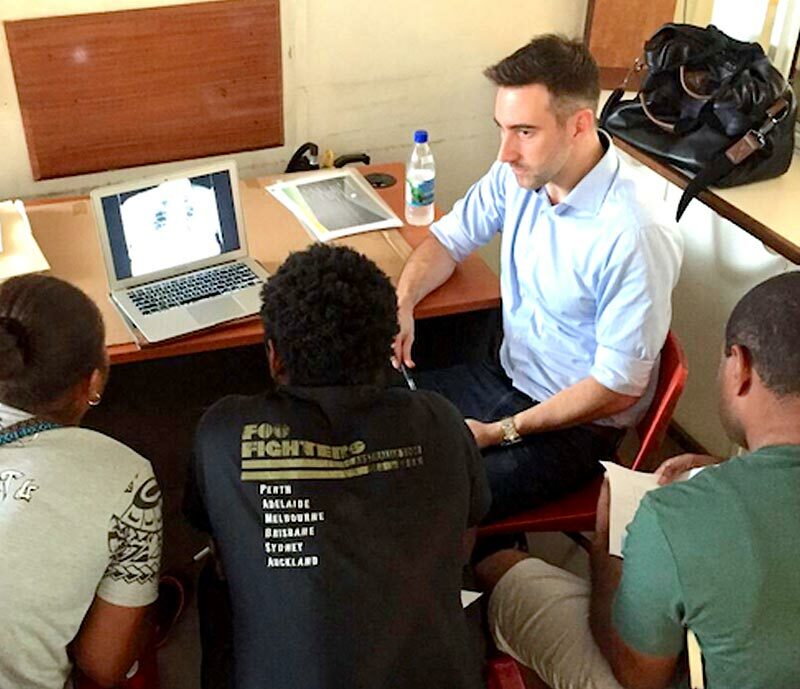 On Friday, 17 June 2016, a Radiology Across Borders team consisting of Dr Suresh de Silva, Dr Michael Curley and Dr Glyn Llewellyn-Jones flew into Port Vila, Vanuatu to complete the inaugural lecture and tutorial series.